Graphic display specialist Leach has called upon the signage sector to adjust its environmental mindset, amidst mounting pressures for businesses to do more. But at the company’s innovation summit 12 months ago, a consultation with leaders from the worlds of retail, events, signage and more, unveiled a sense of urgency for wider-spread environmental focus. 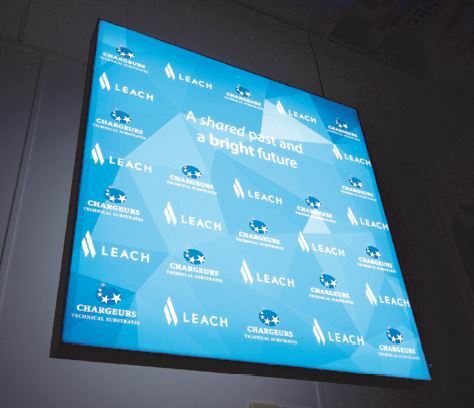 Determined to put their money where their mouth is, Leach’s R&D team has therefore ploughed 12 months and £100,000 of investment into graphic display solutions with even greater green-performance. 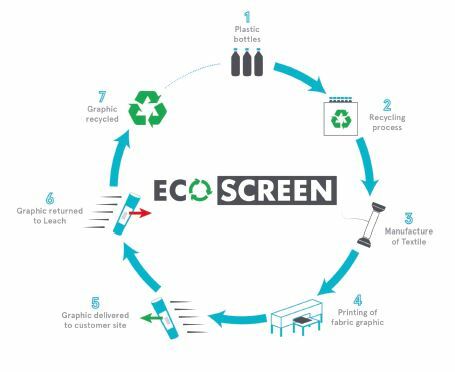 The newly-launched Eco-Screen is Leach’s latest HD fabric graphic product, made from textiles composed of 100% recycled yarn. It can be used for all back-lit displays with no reduction in photographic or illumination quality and when the graphic needs updating, the fabric can be returned to Leach for onward recycling. This ‘return to base’ model means the solution is completely circular, with two recycled plastic bottles required to produce 1m² of Eco-Screen. 2.29 tons of CO2 are also saved for every ton of plastic bottles salvaged. The carbon footprint benefits are further maximised when the Eco-Screen is used on the new Leach Box – a revolutionary ultra-bright illuminated display product which uses a flexible lightsheet as the LED backboard, instead of a rigid dibond back. Consequently, this type of lightbox can be rolled up and transported in a recycled tube, in the back of a car rather than larger vehicles. Power consumption is reduced by up to 30% through the use of technology-controlled sensors; all constituent materials are 100% recyclable and the return-to-base option closes the loop on this product too. The patented solution is fire-rated, CE certified and manufacturing lead times are also lessened by up to 50%. 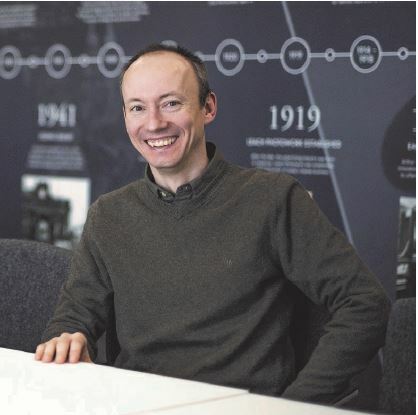 Commenting on Leach’s mounting environmental focus, head of innovation Mike Wilshaw said: “Topics like carbon footprint, material reuse, closed loop business models and single-use plastics were once of interest only to the minority, but now they’re mainstream issues that organisations and the general public alike are trying hard to address. But eco solutions shouldn’t be to the detriment of commercial performance, stresses Mike. “With innovation comes opportunity – something companies have known for some time – but often ‘being green’ comes at a cost,” he explained. “That’s why we’ve worked hard to create a display solution that satisfies organisations’ environmental conscious without being any more expensive.